Canadian animation firm Guru Studio has appointed a Nickelodeon producer as its new development executive. 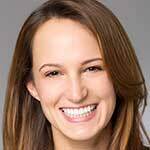 Rachel Marcus joins the Toronto firm directly from her position as digital content development producer at Nickelodeon Networks in New York. Reporting to Guru executive VP Mary Bredin, she will work on developing new content, sourcing IP and overall strategic positioning at the company. While at Nickelodeon, Marcus developed new digital games and shortform linear content that drove interactive web experiences for Nick.com and Nick Jr.
She begins her role on March 27.